North American Christians live amidst historically unprecedented levels of affluence. However, in the past number of years the United States has experienced a deep recession and a slow recovery. With giving down even among Bible-believing Christians, it’s important for those who earn their living from preaching the gospel to manage church finances and personal finances wisely. 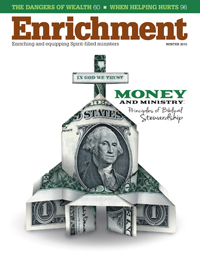 In this issue of Enrichment, we will explore some time-tested biblical principles that will help guide Christian leaders during these turbulent and uncertain financial times. 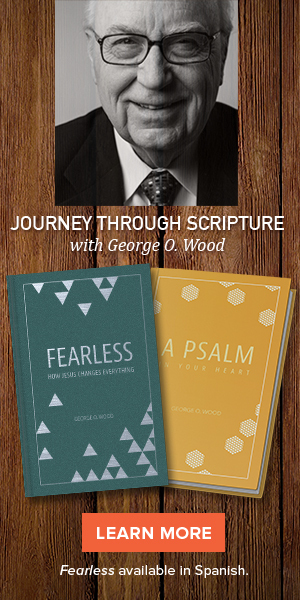 The issue will address such questions as: What does the Bible teach about wealth and stewardship? Will believing in Jesus Christ make you rich? In acquiring wealth, how should Christians use it? Why has giving decreased and what practical steps can Christian leaders take to help reverse this trend? In tight times, what are best practices for stretching ministry dollars? Because helping the poor is a core moral obligation for Christians and churches, what are some time-tested ways of helping the poor that do more good than harm?